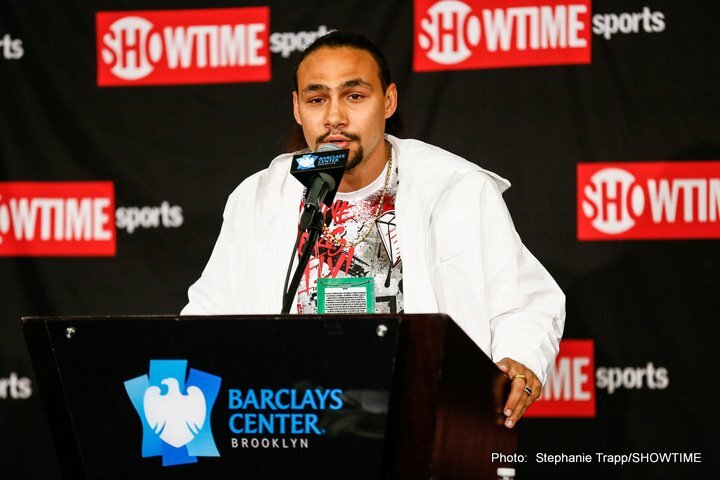 Keith Thurman, the reigning WBA and WBC welterweight champ, will have to wait a little longer until he finally returns to the ring. As fans know, Thurman has been inactive for over a year, since his March 4 2017 decision win over Danny Garcia, but he was set to return to action, against a TBA, on May 19. Yet now, according to a “source close to Thurman” who spoke with ESPN.com, “One Time” has suffered a deep bruise to his left hand. It’s not yet clear how much longer Thurman will be kept on the sidelines for, but Thurman, who injured his hand two weeks ago and has been advised to rest for six weeks, is targeting a summer return. Thurman really has had a spell of bad luck quite recently, though. After the win over Garcia, that saw Thurman, 28-0(22) add the WBC crown to his WBA belt, the Floridian needed surgery on his right elbow and then plenty of rest after the op. The big fight fans really want to see in the welterweight division is of course Thurman Vs. Errol Spence, the reigning and undefeated IBF champ. Thurman has said before now how the remainder of 2018 will be a “get back year” for him, and that he is not really looking at facing Spence in a huge unification clash until some time in 2019. Now, his return postponed from May 19 to who knows when, we will have to wait a little longer to see this great match-up and find out who the best welterweight in the world is right now. Spence has been calling for a fight with Thurman for quite some time (even since the Texan known as “The Truth” was 15-0, he says) but, like the rest of us, he is sure to be a little disappointed at this bad news regarding Thurman. A great and exciting warrior who has given us some terrific action fights (see Thurman’s epic rumble with Shawn Porter for one), Thurman has been out of the ring for far too long already, through no fault of his own. Hopefully he will be back in June, but it’s anyone’s guess who his opponent might be.